Q: Do I have to register to join a cleanup? A: All of our volunteers are encouraged to pre-register by completing and submitting our online volunteer registration and waiver form, particularly if you are part of a group of 10 or more. For logistical purposes, we notify our site captains in advance of the number of volunteers expected to attend a cleanup. Pre-registration saves time, reduces our carbon footprint by conserving paper, and allows you to submit our required waiver form in advance. If you’re unable to pre-register online, you may register and sign the waiver during check in at the cleanup site. Q: How do I schedule a group cleanup? Is there a group registration form, or does everyone need to register individually? A: With registration and advance notice, groups can schedule a cleanup. 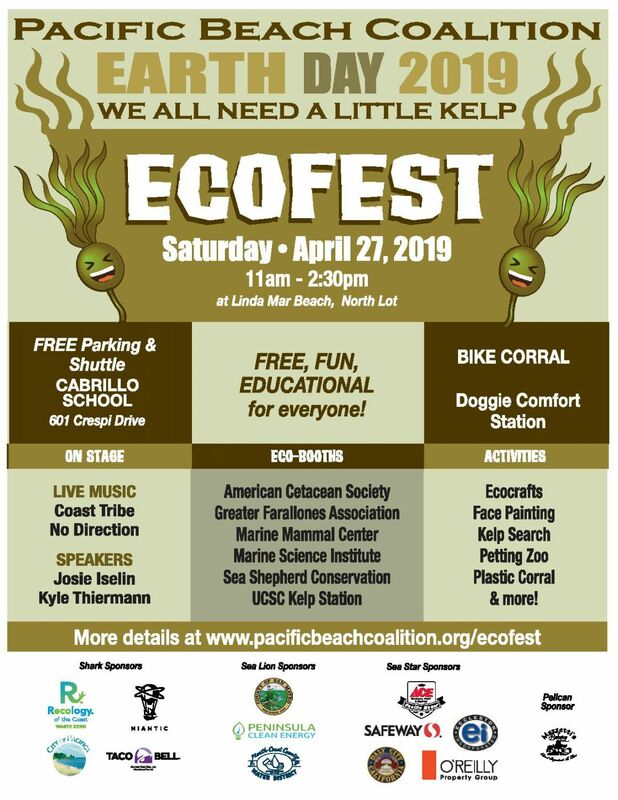 Groups are also welcome to join our regularly scheduled monthly Adopt-A-Beach cleanups held at Linda Mar, Rockaway, Sharp Park, Esplanade, Mussel Rock and Pillar Point Harbor. Check our online monthly calendar for specific dates and times. Q: What days of the week can we schedule a group cleanup? A: With registration and advance notice, groups can schedule a cleanup Monday through Friday as well as Saturdays and Sundays from 9am-2pm depending on the availability of our volunteer site captains. We always do our best to accommodate groups during workdays. Q: Is there is a limit to the number of people who can volunteer for a beach cleanup? How large of a group can volunteer? A: There is no limit but make sure to tell us the number of volunteers in your group so we can plan in advance to make the experience enjoyable for everyone. Q: What if I find a cleanup site in need (a “hot spot”)? A: Please report the hot spot, and we will send a team of volunteers as soon as possible. Q: How do I “Adopt a Beach”? A: It’s easy! Please read all the information about the Adopt-A-Beach program. If you are interested in adopting your own beach, contact us directly. Q: What are the specific addresses for each cleanup site? A: View maps for each of the following cleanup sites on our website: Linda Mar, Rockaway, Sharp Park, Esplanade, Mussel Rock and Pillar Point Harbor. Q: What is the BLUE BUCKET? A: The BLUE BUCKET is a vital tool dedicated to tracking litter, debris and green waste collected during a cleanup. It allows volunteers to submit their cleanup results and findings directly into our online data collection system. Make sure to count cigarette butts, straws and bottle caps during your cleanup. 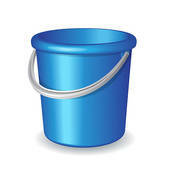 The BLUE BUCKET image is located on each page on the right hand column of our website, or you may also access it directly here. Q: What should I bring to a cleanup? A: Each volunteer should bring a bucket (1 to 5 gallon) and a pair of reusable cloth gloves to reduce waste and be more sustainable. All other supplies are provided by the site captain upon check-in. No need to bring bags. Bring snacks and plenty of water (preferably in a reusable bottle). Q: I have court-ordered community service to perform with a non-profit organization. Can I complete with the Beach Coalition, and am I able to get a document of the hours I put in? A: When you arrive to the cleanup, check in with the site captain before and after you perform your community service hours. A site captain will sign official paperwork after you’ve completed your hours. The Pacific Beach Coalition operates under Pacifica’s Environmental Family, our fiscal sponsor and a registered 501(c)3 non-profit organization. Q: Can I complete community service hours to graduate, or earn credit by volunteering with the Pacific Beach Coalition? A: Yes! We welcome all students to join in our field and education programs to earn credit and/or fulfill their service hour requirements. During cleanups, check in with the site captain before and after you perform your community service hours. A site captain will sign official paperwork given to you after you’ve completed your hours. Depending on the number of community service hours needed to complete, we invite you to consider other volunteer opportunities and share your skills and talent in support of our field and education programs. Q: How do we cancel a scheduled group beach cleanup? 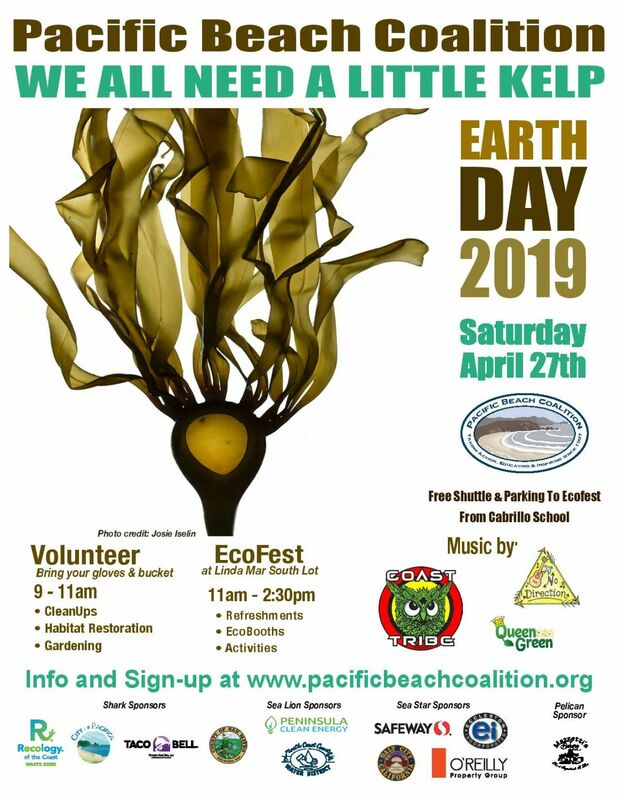 A: The Pacific Beach Coalition is an all-volunteer organization. We appreciate as far in advance notice as possible. At the minimum, please notify us at least 72 hours notice if a group cleanup needs to be cancelled. Contact us directly to notify us of a cancellation. Q: Does rain cancel a beach cleanup? A: Generally speaking, heavy rain will cancel a cleanup or restoration event. High winds can cancel if it is deemed unsafe or impossible to conduct the cleanup. If light drizzle or fog are happening it is the call of the site captain and the team who are there for the cleanup to decide to continue or to cancel. Our site-captains will be on hand at the start time and will plan to be there for 30 minutes to make the call and keep everyone safe. No one is asked to do a cleanup in inclement weather. If you choose to continue the cleanup in the rain, it will be up to you but it may be without the guidance of a site captain. You are welcome to contact us directly 24 hours before an event if significantly inclement weather is in the forecast. We also attempt to post a cancellation when possible on our Facebook group page.